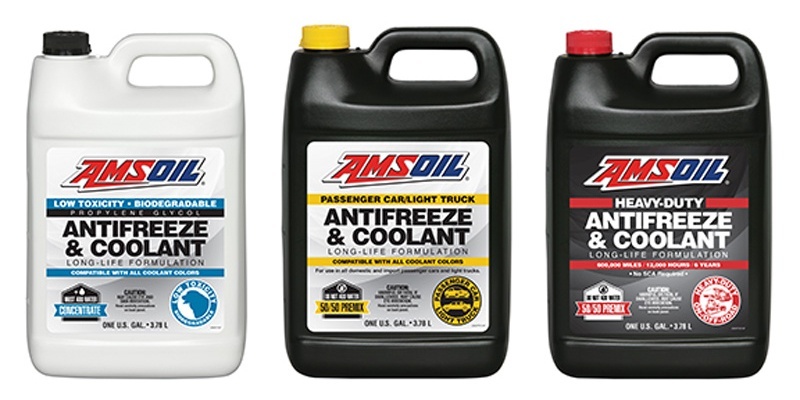 The new line of premium AMSOIL Antifreeze/Coolants provides outstanding protection for cooling systems. It includes a new formulation for Propylene Glycol Antifreeze & Coolant and two new ethylene glycol-based coolants: Passenger Car/Light Truck Antifreeze & Coolant and Heavy-Duty Antifreeze & Coolant. The two ethylene glycol coolants are pre-mixed with 50 percent water. The propylene glycol coolant is a concentrate and not diluted with water. All three products provide pricing and drain interval recommendations that are better aligned with the current market. Propylene Glycol Antifreeze & Coolant & New Ethylene glycol-based coolants. The propylene glycol coolant is a concentrate and not diluted with water. 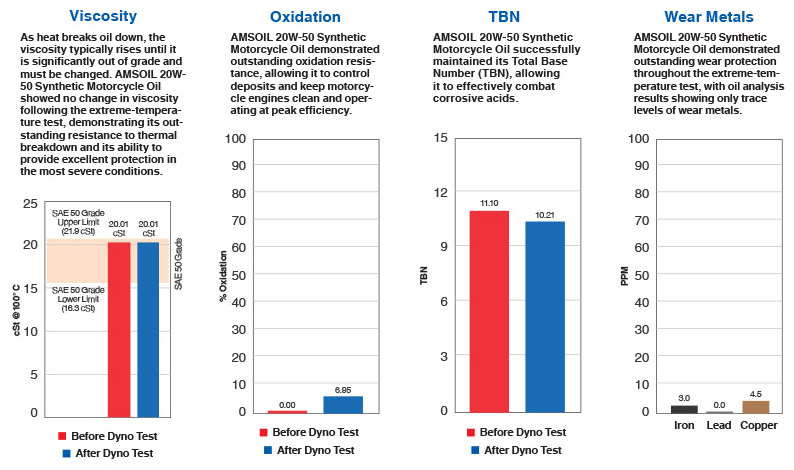 Note: The new AMSOIL Propylene Glycol Antifreeze & Coolant formulation will be available once the current formulation is sold out. The AMSOIL motorcycle oil line is over-engineered to provide protection in the most severe circumstances. Any quality oil will enhance performance to a degree where the rider will notice right away. Things which alert our customers attention is easier start-up, smoother and freed’-up idle. Noticeably smooth acceleration especially under loads and higher RPM. And of course the lack of clutch fade when the oil starts to get to the end of its service life. With AMSOIL you will not experience clutch fade. We now carry a number of products from 20W-50, 10W-40, 20W-40, 10W-30, SAE60, Special supercross spec dirt bike oils in the 40, 50 and 60WT lines. And our ATV lineup which also has specific products for Polaris. Products for all makes are specified on the bottles. The more popular ones are also available in gallons. If you work on bikes or own a service center stocking AMSOIL is a must. If you believe in the quality of your own service nothing will support or compliment your work as AMSOIL will. It’s the product used by the pros. Even Eric Buell requires any shop selling his bikes to have AMSOIL on hand as other oils actually resulted in poor performance per his own words. 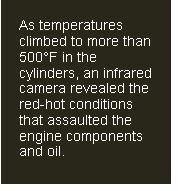 Harley motor under intense heat test – no cooling! All products are in stock on the Sioux Falls store.